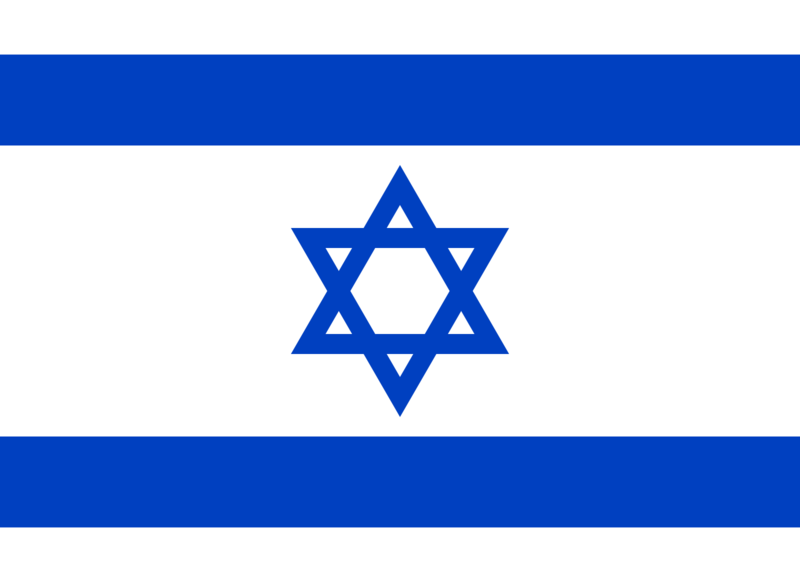 Flag of Israel is white with a blue hexagram (six-pointed linear star) known as the Magen David (Star of David or Shield of David) centered between two equal horizontal blue bands near the top and bottom edges of the flag. The basic design was inspired by the Ashkenazi Tallit, the Jewish prayer shawl, which is white with blue stripes. The Magen David (Star of David or Shield of David) is a Jewish symbol dating from medieval period.